In a polycentric world, who defines what is responsible development and who is responsible for it? Whose knowledge(s) inform development practice and discourse? 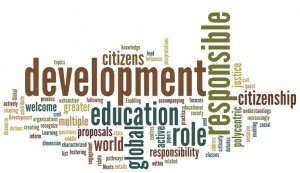 What is the role of education in the quest for responsible development? What is the role of education in enabling citizens to actively contribute to creating a world of greater social justice? What is the responsibility of civil society organisations or the state in fostering citizens engagement in global development? How do debates about active citizenship and education relate to the middle classes? This is not an exhaustive list and we welcome proposals on related topics that have an educational or global citizenship dimension. If you have an idea for a contribution that does not fit the conventional presentation format, please get in touch.